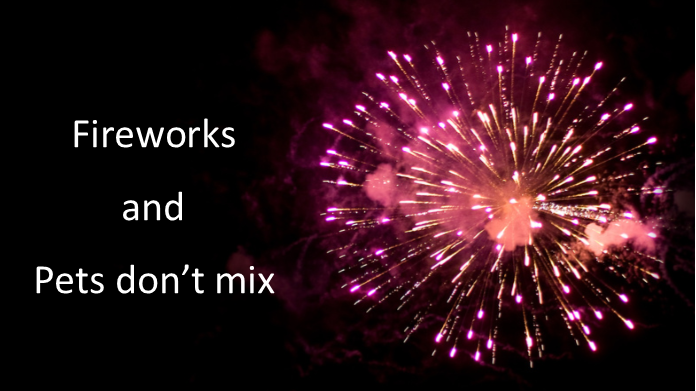 Do not bring your pets to Sertoma’s 4th of July or to any fireworks show. City of Pensacola Code prohibits pets from any events at Seville Square. Unlike people, pets don’t associate the noise, flashes and burning smell of fireworks with celebration. As a result, fireworks can cause a great deal of stress for some pets. Be sensitive to their situation and use caution as unexpected behavior may be displayed by your pet while trying to escape from the loud noises including jumping a fence to find safety, running away or “flight from fright,” destruction of yard or household items and biting. Shelters often see an increase in lost pets after fireworks displays. If your pet is missing, contact your local shelter. Do not leave your pet in the car while you watch a fireworks display. In only a matter of minutes, the heat in a car can cause serious health problems or even death. A stressed animal can also cause major damage to the interior of your car. Keep pets indoors. Turn on the TV or radio as a distraction and close the curtains. 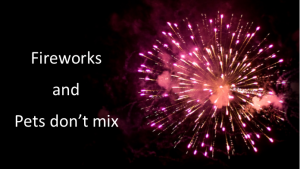 Never leave pets unattended outside, not even in a fenced yard or on a chain, if you are near a fireworks display or if your neighbors are lighting small fireworks. They may try to run away or become tangled up in their chain. Pets can also do unexpected things when stressed, and it is best not to leave them alone at all during fireworks, even inside. Provide a pet bed or crate in a quiet place to create a small den-like place and a sense of security. If you must be outside with your pet, keep the pet on a leash or in a carrier at all times. Keep pets away from fireworks, open fires and matches. Encourage your pet to “go” before fireworks begin by taking your pet for a walk. If your pet becomes frightened, this can help prevent toileting accidents. Make sure your pet has proper identification tags with current information in case they run away. If your pet often becomes stressed during periods of loud noise like thunderstorms, check with your veterinarian to see if a tranquilizer is appropriate for your pet.